The term ‘antinomianism’ was used for the first time by Martin Luther. It is the belief that Christians are no longer under the Ten Commandments (or the moral law) as a rule of life. Historic Christianity has always regarded antinomianism as a heresy. 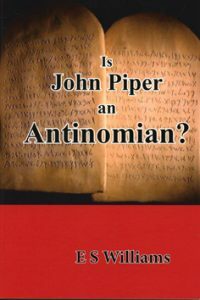 Yet antinomianism is vital to John Piper’s radical new doctrine of Christian Hedonism, first presented in his 1986 book, Desiring God. This charge is not made lightly. Clear and compelling evidence, taken from Piper’s own words, is presented to substantiate this claim.